Gulf of Mexico Possible “Largest Dead Zone Ever” – Neptune 911! tremendous amounts of fertilizer and pesticides. This is contributing to what scientists say may become the largest dead zone ever, and posing a serious threat to already taxed marine life. “The bottom layer of the ocean gets so low in oxygen that sea life has to swim away and vacate the area, and if they can’t get away, they suffocate,” said Matt Rota, science and water policy director for the Gulf Restoration Network. ‹ What Would You Say To A Northern Elephant Seal? 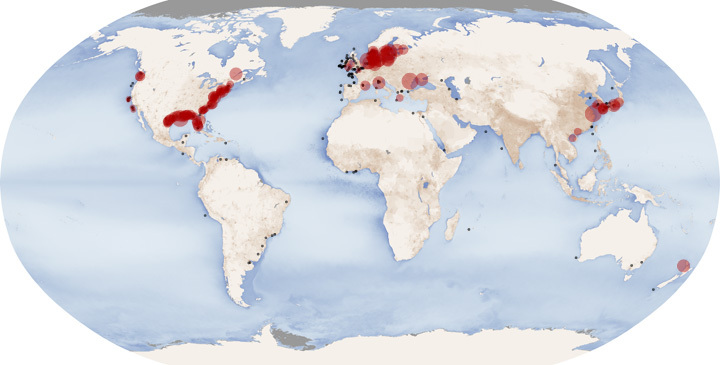 The continental shelves are the world’s biologic maternity ward and new and successive ever-expanding predictable “dead zones” are, as some marine scientists warn, leaving death zone on the the floor that is turning the maternity ward into a permanent morgue. At the same time, we continue destroying the world’s lungs — the Amazon basin rain forest — and also gradually turning it a dead zone. Seven billion people that are expected to hit 10 billion in a human lifetime, compared to 450 million of us at the time of Columbus, all but ensure the dead zones will continue until the tipping point destroys us all.